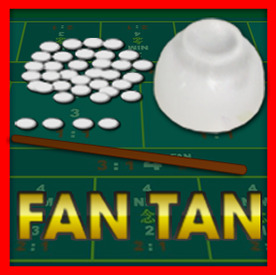 "To start the Fan Tan game, player should choose the postion and place a bet. you can bet Single Number, two number, three number. Three Number Bets: when a chip is placed on one of the numbers: 1-2-3,1-2-4,1-3-4 or 2-3-4, this is known as a three number bets, and if the number comes up, the payoff is 0.31 to 1"